Certain Women is getting a certain buzz, based on its style, its message, and its cast. The attention is warranted; how this movie was filmed is interesting, what it’s doing for the feminist movement in Hollywood is commendable, and the leads are all completely solid. But that’s not quite good enough to gain awards. First, people need to see your film. I know it’s not all about commercialization, film can also be about the art of filmmaking, the point coming across, I get that. But you need an audience, otherwise you’re just painting in your basement and getting high off the fumes. Secondly, no subtle moral is too good for a little bit of entertainment, something small to keep viewers from dozing off before they capture the point. 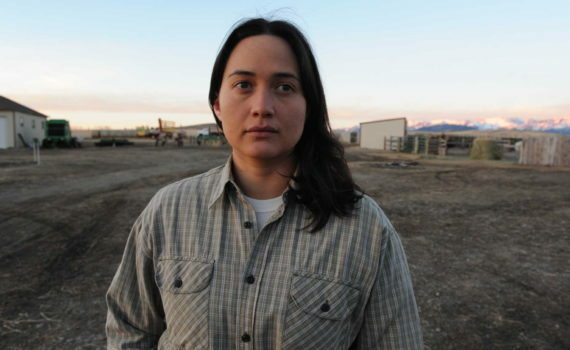 I’m not saying that every movie has to sell out, and Certain Women certainly doesn’t, but don’t forget that we are consumers, we need to consume, and your movie needs to at least be palatable. In this unique look at American life, we follow three unique woman as they live their lives. Yes, those lives are sometimes boring, sometimes sad, but they are lives nonetheless, no more or less special than any other, and can be used to exemplify the struggles facing women all over the country. Laura is a lawyer whose most annoying case won’t leave her alone, reaching out for attention to the point that he takes a security guard hostage, prompting Laura to finally take action. Gina is a business owner, a wife & a mother, a serious and structured woman who takes little joy from life, rather seeing it as an ongoing project. And Beth is a professional who’s stuck moonlighting as a teacher, driving a great distance to answer stupid questions, making what friendships she can along the way. All three are slightly connected, but as individuals can show us what it means to be a working woman in a place where so many feel so very alone. I hope my point in the opening paragraph comes across cleanly. Basically, this film is an example of an interested premise and a whole lot to say that never gets off the ground because its director forgot that it should also be an enjoyable thing to watch, at least in some small part. And it really isn’t, rather becoming one of the more boring movies of the entire year. I understand the point, and I appreciate watching these women in their daily lives, knowing that not every second is a party, but I needed something more to keep me captivated beyond a strong foundation. The actresses were not at fault, not at all; Dern, Williams, & Stewart were all great, as were the side actors who made up the periphery. But this movie flowed like an indie film project, not a major feature, failing to add in just a dash of spice to keep things interesting, becoming instead a bland, well-intentioned story that didn’t have the heart to be special.